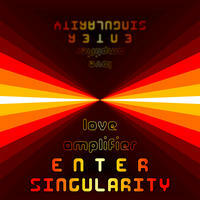 Love Amplifier : Enter Singularity. Tracks 1-7 are a continuous mix, originally titled "Survival" - a live set performed in Long Beach, California in November 2011. No controller was used - only a keyboard, a mouse, and Ableton Live. The remainder of the album is designed to mix live with "Exit Planet Dust" by The Chemical Brothers, provided the tempos of each track are synchronized. No melodies, harmonies, rhythms, or chord progressions were borrowed or stolen from that album - these tracks are all completely original.